It took about a month for my dad to realize he had left his duffel bag of pig hunting gear in the woods. Where? We had no clue; but it was nowhere to be found. The only conclusion we could make was that it had fallen out of our side-by-side ATV while we raced up hills and down trails, in search of our pig dogs. After stumbling around in the rain, and a crippling ATV break down, we located our mud covered duffel on a wet and washed out trail. We got lucky this time. We opened the bag to be sure that my father’s articles were there. A bunch of equipment for the dogs, a doggy medical kit, and, most importantly, a colt .44 magnum revolver. We jumped and cheered despite being soaked to the bone. Even the mechanical failure of our ATV couldn’t bring us down. That day, I learned an extremely valuable lesson in the realm of both hunting, as well as life – don’t leave your belongings in the woods. For example, check what you got, before making the drive home. I am writing this article to simply emphasize the importance of accounting for all your gear. Outdoor gear isn’t cheap and sometimes we get a little too comfortable with acting on the careless side. In my father’s case, things couldn’t of gone any better. All the contents of his bag were dry, clean, untouched, and most importantly, still there. Things could have been worse, and similar situations have most likely gone south for many other unlucky hunters around the world. So how do you make sure all your gear is accounted for after even the wildest outings? Well, there are many ways, but here are a few that I came up with to be sure that I never fall victim to such forgetfulness. Making a quick list of your valued items, whether it be typed up or jotted on the back of a receipt, may be a tedious task, but it could be very much worth the time. Even a quick mental list, or recap, of your most essential items could save you from losing your gear. Finding the gear you need, and bringing that same gear on every outing can not only help you remember what you have with you, but it ill also assure that you bring the equipment you need. There’s nothing worse than being at a loss due to forgotten gear, whether it be a knife, extra fuel, or any other game changing articles. Also be sure to pack your bags and vehicle in a similar manor for every trip. It will make your gear much more accessible and convenient when you need it. Before you make the point of bringing extra equipment in the case of emergencies or a change of plans, let me explain. 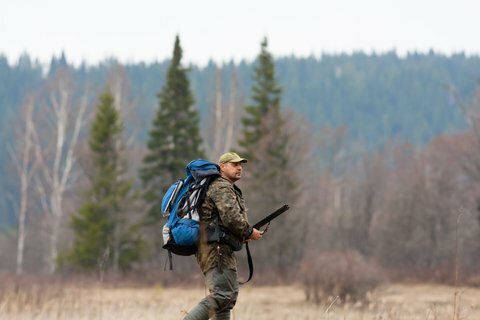 You should definitely always be expecting the unexpected when packing for a trip in the outdoors, however, bringing gear that is simply unnecessary can be a hindrance when recollecting all the items that you brought along. Clutter will also make your gear a lot less accessible.